Ep. 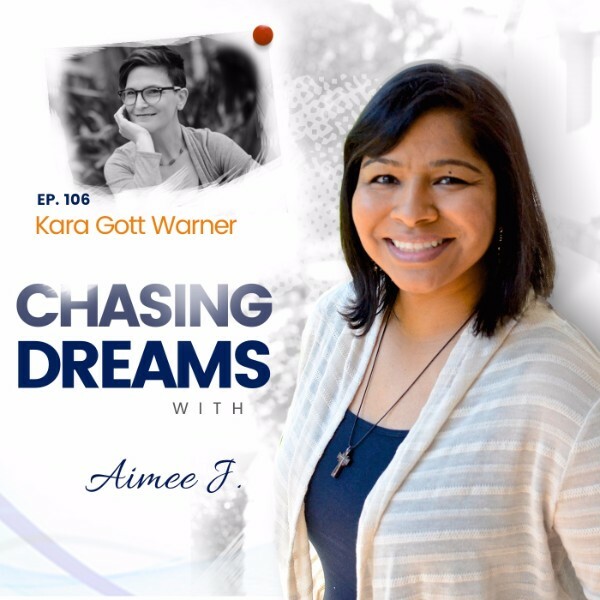 106: Kara Gott Warner – Checking in After Two Years | Aimee J.
Today’s guest is Kara Gott Warner, who also appeared way back in Episode 16. She’s been the Creative Knitting Executive Editor and the host of the Power Purls podcast. She began her career designing knitting patterns in 2002. Her designs have been published in several magazines, including Creative Knitting, Vogue Knitting, Family Circle Easy Knitting, and Interweave Knits. Kara has a background as a technical illustrator, working with craft book publishers such as Random House, Lark Books, Sterling Publishing, and F+W. Kara first joined Annie’s Publishing in 2008 as knitting book editor, and then in 2010 signed on as Executive Editor of Creative Knitting Magazine and Annie’s Knitting Publications. Through the Power Purls podcast, Kara’s mission is to dig deep and ask those burning questions about what turned her guests on to the “two sticks and fiber” in the first place, and what keeps their needles moving! Do you know your ONE thing? Kara shares how she planned it out and did the math before leaving her full-time job to pursue her dreams. She reveals the empowerment she felt by putting her plan on paper and beginning to work on HER dreams full-time. Do you allow your dream to morph and grow along the way? We all know that dreams may not stay the same over time as they are refined by experiences and situations. Kara decided to focus on her podcast and use it to create a sustainable life and community. The dream has layers to it as she realizes her goals within the knitting industry. Don’t be afraid to let your dream evolve! In this age of busy-ness, we are probably all involved in several “dreams” and projects at once. Kara tells about the things she has going on within her dream. Even though we focus on ONE thing, we have commitments to many things. Is multi-tasking a bad thing? Absolutely not! Kara shares how to find the one thing that makes thousands of other things become easier. You, too, can find a way to streamline your dream. [8:50] What am I waiting for?